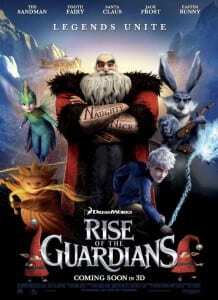 If you haven’t seen Rise of the Guardians yet, now is a great time. The Animation Addicts will be releasing their latest podcast which will be all about Rise of the Guardians this Friday, so here I’ve compiled a small list of my favorite things from the film. 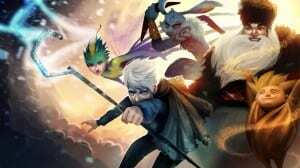 But if you haven’t had a chance to watch Rise of the Guardians yet, check out our sponsor links at the bottom of the page to help support The Rotoscopers website and Animation Addicts podcast. 1.) 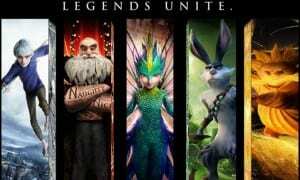 While we have always envisioned Santa Clause with elves at his workshop, Rise of the Guardians puts an awesome twist on who really works for him, and what they are like. The best part, is that they are just giant lovable creatures, who put a smile on everyone’s face; truly the mark of a good Santa helper. 2.) The character design on the entire film is practically flawless. Everything about these characters rings true to the story that the animators wanted to tell. 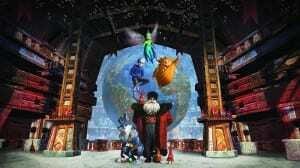 North (Santa Clause) is a big, lovable, Russian with swords and tattoos. Tooth (Tooth Fairy) is a bejeweled anthropomorphic hummingbird with adorable tiny hummingbirds as assistants. Bunnymund is an overgrown Australian bunny. 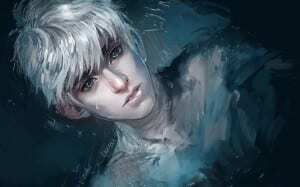 Jack Frost is a magical boy. And Sandy…well, Sandy is a man, made of sand. There are lovely new twists on the characters we used to know, which keeps them fresh and interesting throughout the film. 3.) The animation is amazing! The things that these artists did with animated sand and light is spellbinding to say the least. The fact that the animators went so far as to work with Roger Deakins (Skyfall, True Grit, Fargo, No Country for Old Men) as a consultant for the lighting department, shows that these guys were ridiculously serious about getting the entire film right. Just check out this featurette on the making of “dreamsand”. 4.) There has been a recent trend in musical scores where the bigger, more mechanical the sound the better. But not here, Alexandre Desplat does an amazing job of creating an original theme song for each main character which is full, vibrant, and emotionally moving. And when the time is right, he even layers the songs for an amazing ride of a score. Mayra Amaya is a Theater graduate from Arizona State University in Tempe, AZ where she also learned filmmaking. Amaya now resides in Brooklyn, NY where she works as an actor, writer and sandwich maker. You can follow her on Twitter (@amayasunwizard).